5/19/2013 – Today’s bike ride covered a very nice area of Waterloo, Beechwood! This is an upscale neighbourhood and the properties here were very impressive. There was a trail connecting two crescents in the upper Beechwood area and what I saw through the trail was what I have captured in this picture. 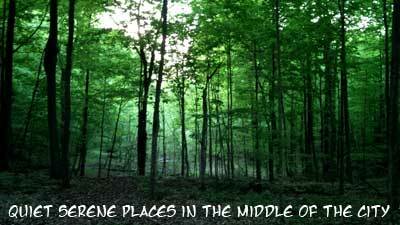 The tranquility in the forest was unbelievable. For a while, I completely forgot that I was in the middle of a city! The route ended at Regency Park, where a friend of mine was organizing public display of fireworks for Victoria Day celebrations! 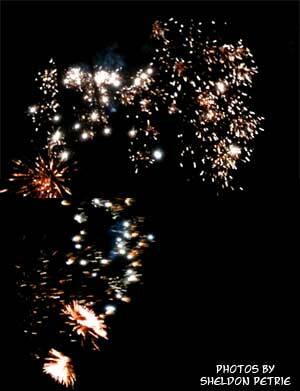 For a self organized event, we had an impressive array of firework display. Many people have brought their own fireworks, which meant we ended up with quite a long show with lots of “ooh”s and “aaah”s. 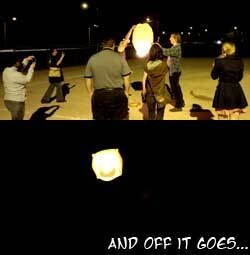 In the end, a Chinese Lantern was set off, floating through the night sky. Overall, not a bad way to end a bike ride. Happy Victoria Day Everyone!